I just lost my best friend about a week ago. His name was Spooks. 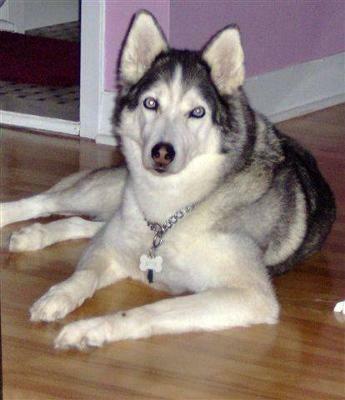 He was a 14 year old Siberian Husky. I had him since he was 2 months old. I can't have children so he was my 4 legged baby. I knew it would hurt when I lost him, but I didn't realize it would hurt this much. When I leave the house, I still start to tell him that I'm going to work and will be back soon, and that I love him....then I realize that he isn't there and I stand at the door and cry. I can't believe he is gone, I want him back. We just lost our siberian this weekend, suddenly of what seemed to be a heart attack. We have two, brother and sister, she of color and he white. They are only 6.5 years old, so it's hard to see her gone. Her name was Ziara. She was our princess. I feel so sad for him, they were so close. It dosen't seem right, but the death of a loved pet is one of the saddest events in an owner's life. It's very hard for my wife and me. Her brother, Fialon, keeps looking for her. It's so sad. I know he must miss you. Take care of you. He wants that, I think. He loved you and still does. You will meet again, I really befieve that.